Lauren Silveira is the owner and founder of Organized for Life Professional Organizing Services, a duly registered business serving all of Rhode Island. The business was born out of the belief that our homes and work spaces influence all aspects of our lives. The mission of Organized for Life is to provide individuals with all of the benefits that contribute to an organized space, be it residential or business, by applying simple and budget friendly organizational processes that work. Organized for Life will work with the individual to evaluate the space, create a plan based on the customer's needs and implement that plan from start to finish. This process most importantly provides the customer with the peace of mind of having a system in place to allow for clarity and peace of mind, two positive factors of organization. Areas of expertise include closets, kitchens, playrooms, garages, offices and basements to name a few. 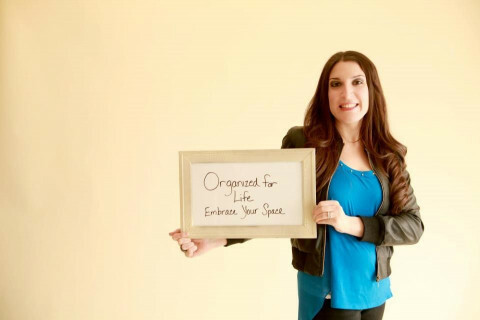 In addition to organizing for clients Lauren is available for organizing workshops and presentations centered around the benefits of organization. She is a member of NAPW RI Chapter, as well as PVD Lady Project a non-profit organization in RI that showcases women doing extraordinary things. Both organizations promote self growth and achievement. She believes in giving back to the community and it is an integral part of her business. She has organized yard sale fundraisers in RI for the Leukemia Society of RI and most recently The Tomorrow Fund. Please visit the Organized for Life website for more information on how she can help you become Organized for Life.